We are proud to announce the HBomb 2.0! It features a NEWLY DESIGNED MOUTHPIECE. 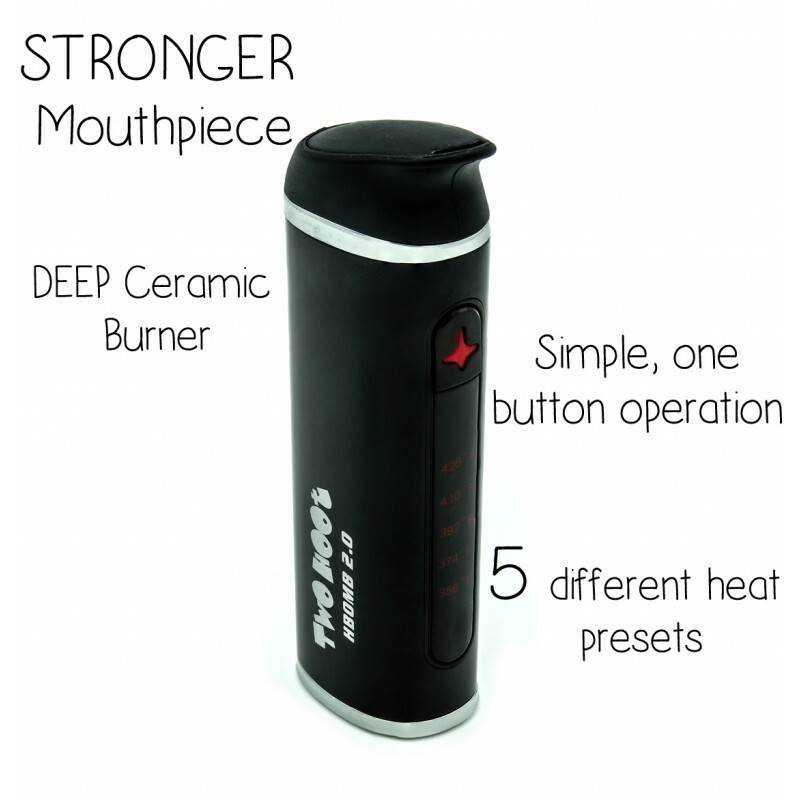 The Mouthpeice plastic has been beefed up to ensure less breakage and keep you hooting longer! The Hbomb 2.0 has 5 temperature presets to choose from in order to quickly and accurately dial in your perfect vape! The Hbomb 2.0 also features a deep ceramic burner and will actually VAPORIZE your herb, not just burn it!